Heads up: If you’re walking around London, you might just bump into Prince Harry and Meghan Markle. 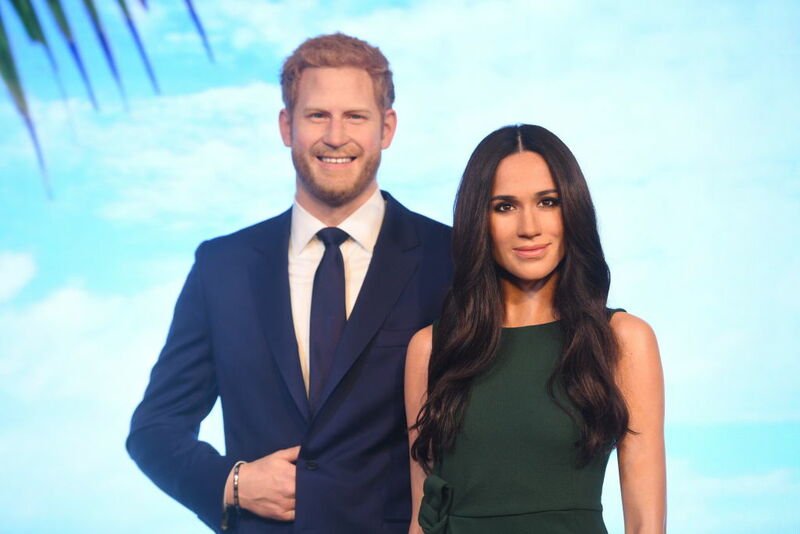 Or at least Prince Harry and Meghan Markle’s wax doubles. Yup, that’s right. While the Duke and Duchess of Sussex were first transformed into wax replicas by the famous Madame Tussauds back in May, they recently came to life for a photo shoot that honestly might haunt your dreams. Harry had already been immortalized in wax by Madame Tussauds. But in honor of the royal wedding, the team updated his look with a fresh beard and created a brand new figure for Markle. For the royal reveal, the two were dressed in the outfit they wore for their engagement announcement. While Madame Tussauds hasn’t always nailed their wax replicas in the past—just peep Zac Efron looking like Adam Levine or a very botched Lady Gaga figure—the results for the two royals were scarily accurate. Madame Tussauds took things to the next level when they had Harry and Meghan spend a day on the town in London. They dressed the couple in casual button-down shirts and jeans for a stroll around town. According to Entertainment Tonight, the figures were taken to a variety of locations in the city, including a local pub where they posed with drinks. They also took Meghan’s Beagle, Guy, for a walk in the park. “OMG! Harry and Meghan gave us a sneak peek into what a #DayInTheLife of the Royal newlyweds is like and all we can say is… #CoupleGoals!” Madam Tussaud wrote on Instagram. However, Harry and Meghan’s wax figues have some people scratching their heads. Regardless of your thoughts on accuracy, we think it’s fair to say most people are pretty unsettled. Sleep well, friends.